Your happiness is important to us. As your trusted financial advisor, our primary focus is you. From budget creation, to 401(k) review, to preparing you for retirement, we get to know you and provide services based on your individual needs and desires. LET’S GET YOUR DUCKS IN A ROW. Are you good at what you do but less confident about your readiness for your next big move? 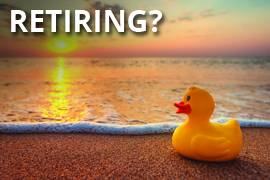 Download these seven suggestions for getting your ducks in a row as you advance in your career and your life. 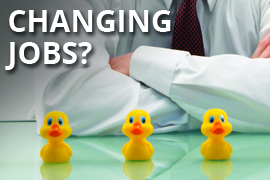 Whether it is your idea or (ahem) your employer's, a job change brings its share of drama. Download these six tips - including a few ideas about your old 401 (k) - meant to help you on your next great adventure. You’re the envy of your peers, the model of a job well done. 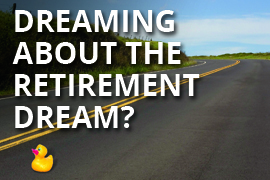 Now let’s get Retirement right. Download these seven tips and observations based on our extensive experience with happy retirees. There’s nothing like a brand new bundle of joy to help focus. 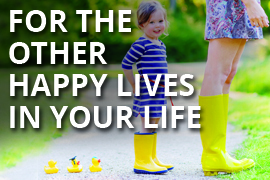 Whether you’re a proud parent or grandparent, there are steps you could be taking—download these seven tips with our very best wishes. You can listen to Herb Allen’s market commentary daily on the radio at 100.5 fm. His reports are available at 5:15 pm (central time). Opinions expressed are that of the author and are not endorsed by the named broker dealer or its affiliates. All information herein has been prepared solely for informational purposes, and it is not an offer to buy or sell any security or to participate in any particular trading strategy. Due to volatility within the markets mentioned, opinions are subject to change without notice. Information is based on sources believed to be reliable; however, their accuracy or completeness cannot be guaranteed. Past performance does not guarantee future results. Investors cannot invest directly in an index. All investing involves risk, including the possible loss of principal. There is no assurance that any investment strategy will be successful. Neither Summit Brokerage Services, Inc. nor any of its representatives may give legal or tax advice. For a comprehensive review of your personal situation, always consult with a tax or legal advisor. © 2019 MainStreet Financial Group. All rights reserved.